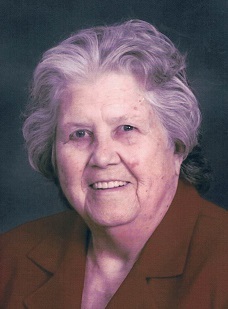 Julia Irene Matthews, 92, died Friday, August 24, 2018 at Genacross of Toledo surrounded by her loving family. She was born March 3, 1926 in Portsmouth, OH. Julia assisted terminally ill patients through private practice and she was a member of Harvest Apostolic Church. Julia is survived by daughters Diana (Melvin) Peth and Ricarda (Dave) Young; 8 grandchildren; 21 great grandchildren; 7 great great grandchildren; sisters Donna Jankowski and Judy (Leonard) Boos; son-in-law John Collier; numerous nieces and nephews. She is preceded in death by her parents Lee and Julia (Killen) Webb; daughter Linda Collier; grandson Richard Vargo; 9 brothers and 3 sisters. Family and friends may visit the Freck Funeral Chapel, 1155 S. Wynn Rd in Oregon on Tuesday, August 28, 2018, from 11 a.m- 12:30 p.m. where funeral services will be held at 12:30 p.m. Burial will be at Ottawa Hills Memorial Park.